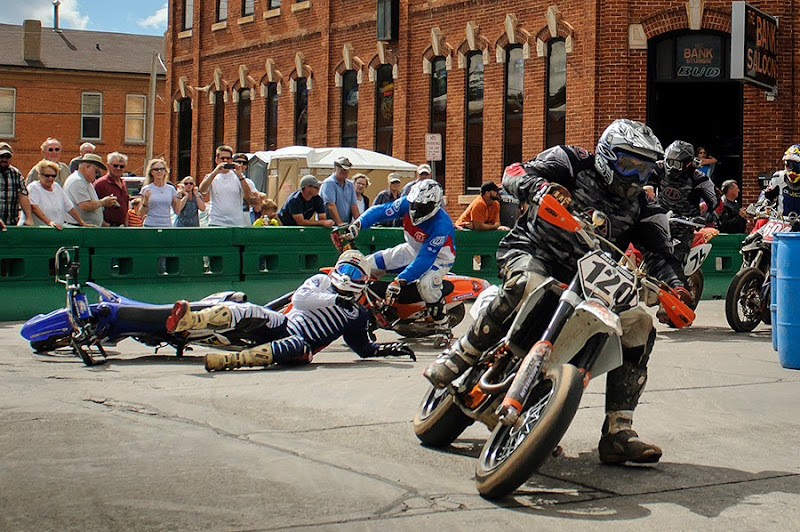 Motorcycles on the streets of Sturgis are anything but new, but racing them at over 100 miles per hour around city blocks is. 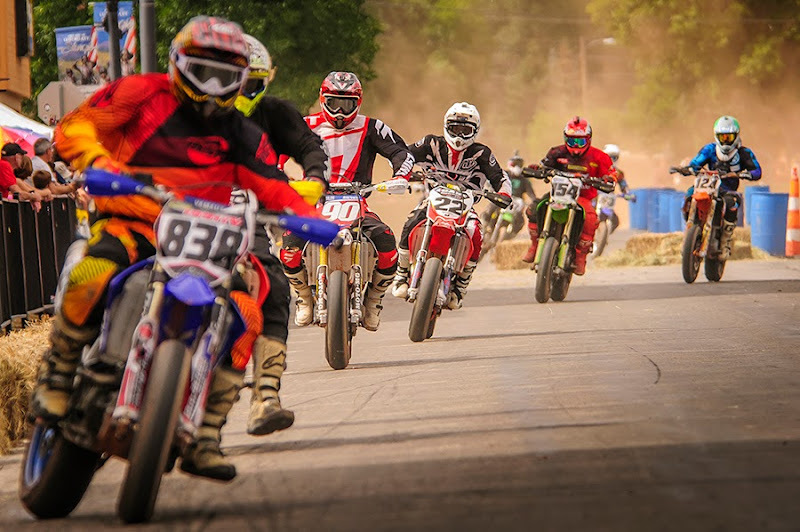 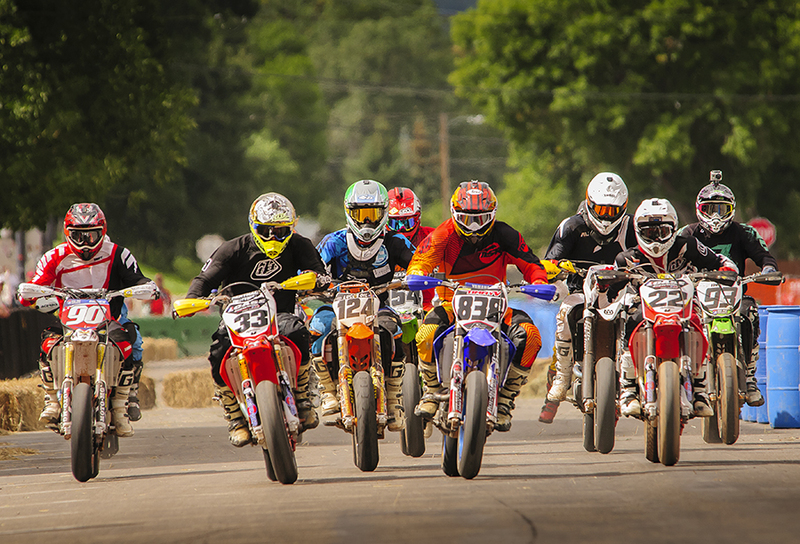 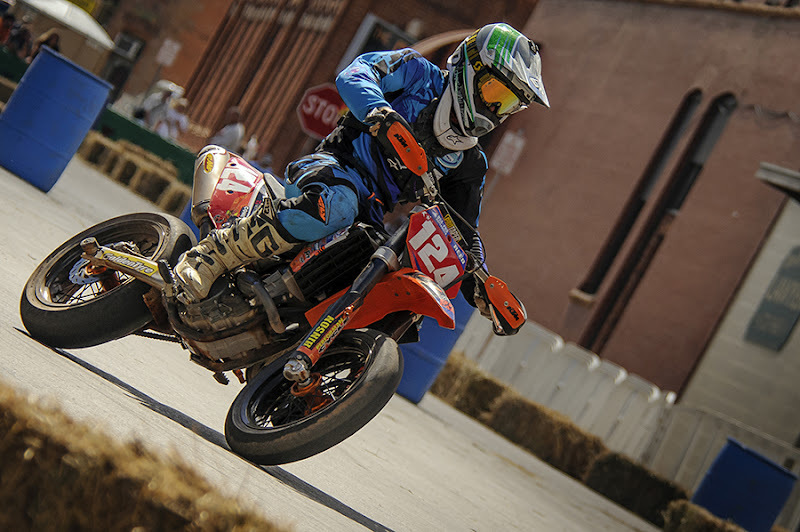 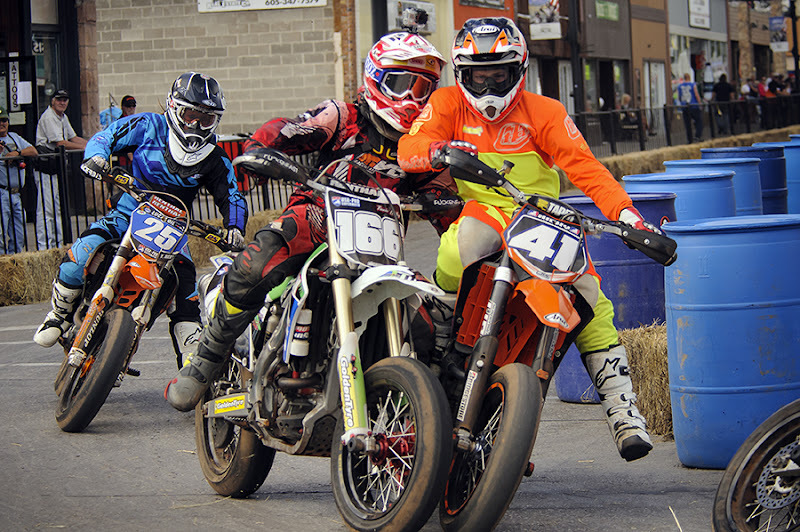 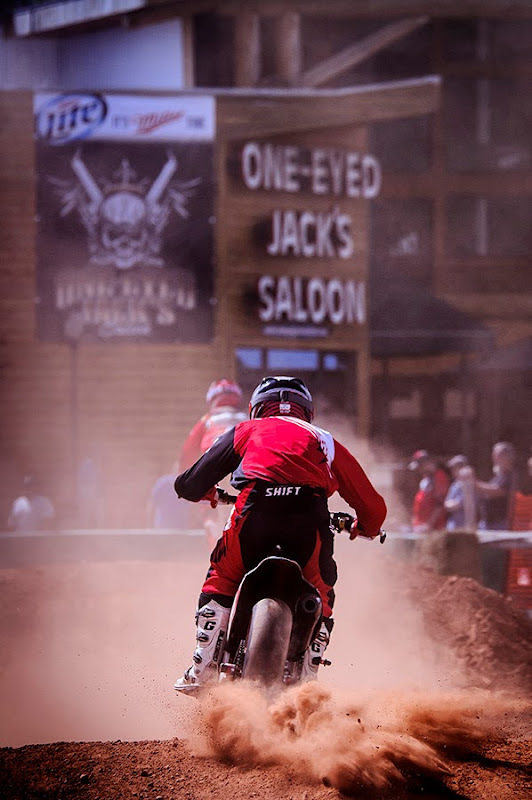 USA Pro Supermoto is invading downtown Sturgis this weekend and is a sight to see. 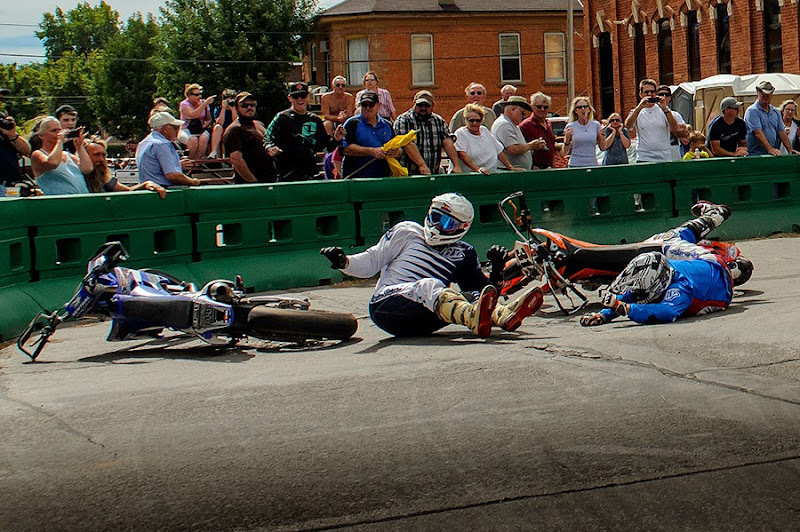 I'll let the pictures do most of the talking, but if you are interested there will be more racing action on Sunday.